Exploring local food is a part of travelling that I really look forward to, and I always feel intrigued on how food plays such a crucial role in many cultures worldwide. Seemingly mundane matters of what people eat, how they eat it and who they eat it with can shed a lot of insight into history, weather, local produce, traditions and habits. For a foodie, China is definitely out there in terms of quality, complexity, variation and flavor. There are some Chinese dishes that have found popularity globally but that is still a tiny tiny speck of what the cuisine has to offer. Many countries where Chinese food has become popular have adapted the cuisine to suit local palate, to the extent that there is nothing Chinese about it anymore 😉 . In India for example, Chili Chicken is a dish of mass appeal, had as a starter mostly, but ask a Chinese about it and they will draw a complete blank. The food in China is more than fantastic, and I am surprised to say that I did not have one bad meal. 3 weeks, 3 meals each day = 63 meals out and NOT ONE BAD MEAL. That is incredible in my view. And very very rare. So this post is a memoir of the dishes I loved the most in China, from the regions I travelled. Goes without saying that this is not an all-encompassing list. So if you are planning, do not go near the fast food chains and western restaurants as that would be a terrible waste of an opportunity. Not only that, a Chinese meal is a shared experience. There is no concept of individual portions. Meals take time and are savored. There is conversation and food. Lots of tea. It’s a grand ritual in itself that is repeated meal after meal, day after day and there is something very comforting about it. Har gou: Steamed Shrimp dumplings, delicate and flavorful with a really thin skin and delicate juicy meat inside. Read more on enjoying a Dim Sum meal here. Lo baak gou: Shredded radish mixed with rice flour and flavored with ham, shrimp, or other vegetables, then pressed into cakes and fried. Called turnip cakes as well. Commonly found in all Dim Sum places, you can read more about enjoying a Dim Sum meal here. Sichuan style fish: This dish is literally fire in a bowl. The Sichuan peppers are explosive and you can feel your nostrils and mouth on fire, just after one bite. 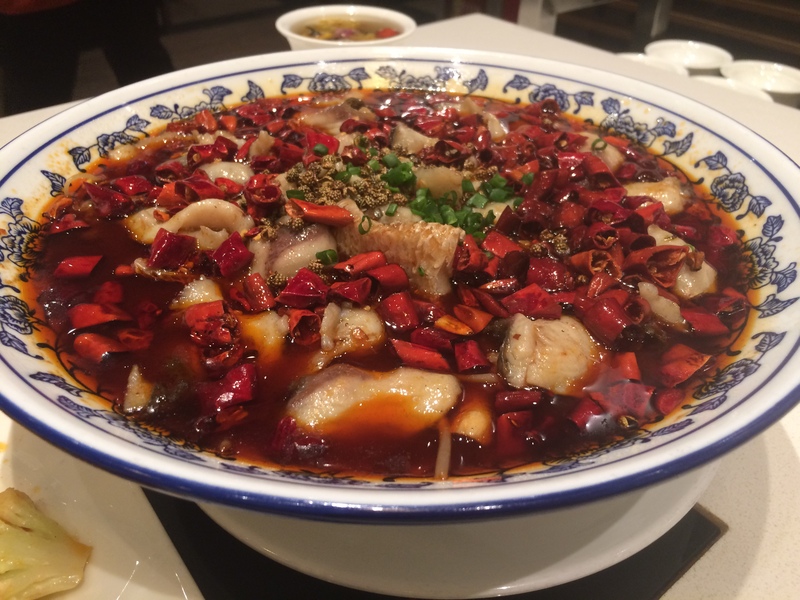 This dish is a Sichuan cuisine classic, fish and some veg, in a whole lot of oil, chili and other spices. You basically use your chopsticks to eat the fish, leaving the rest in the pot. To calm your insides, towards the end of the meal you will be served with some chilled watermelon, sweet custard like tofu and jelly. 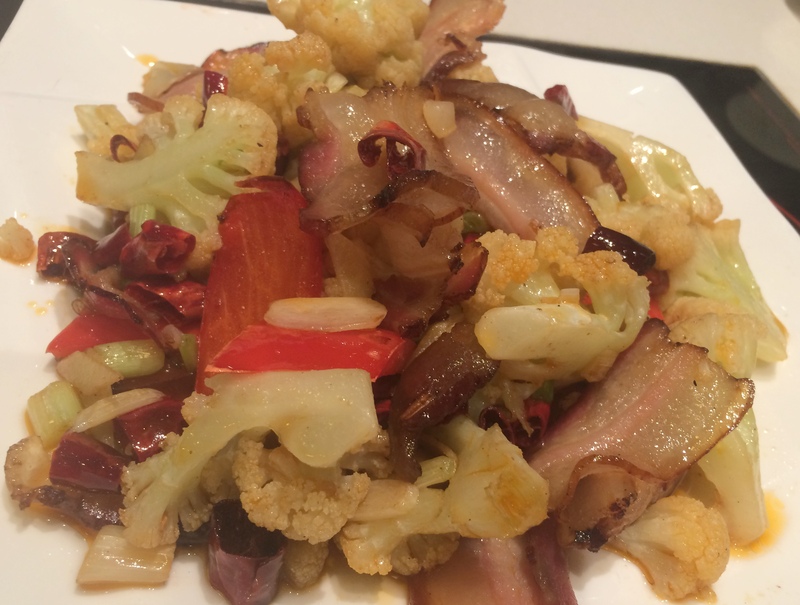 Cauliflower in peppers and bacon: Another Sichuan classic, the vegetable is nice and crunchy and oozing with the bacon fat and heat from the peppers. Grilled Tofu: Soft melt in the mouth tofu, fried and then covered in a sweet sauce and grilled on a skillet, this dish is another Cantonese favorite of mine. The tofu is so soft and served so piping hot, I burned my mouth many times for lack of patience 😀 . This is a must have for all vegetarians. 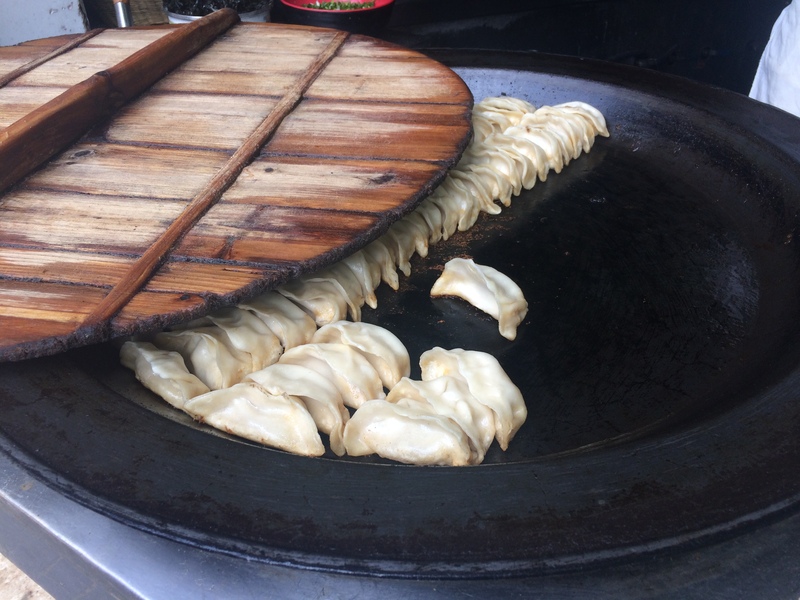 Potstickers: Classic Shanghai street food, these dim sums are first steamed, then grilled on a skillet on one side, to make it crunchy. The meat releases its juices which will scald your throat on the first bite. Still, it’s totally worth it. Congee: A rice porridge popularly had for breakfast and cooked in chicken broth, topped with soy, onion, egg, this is a decently heathy breakfast and very easily available. 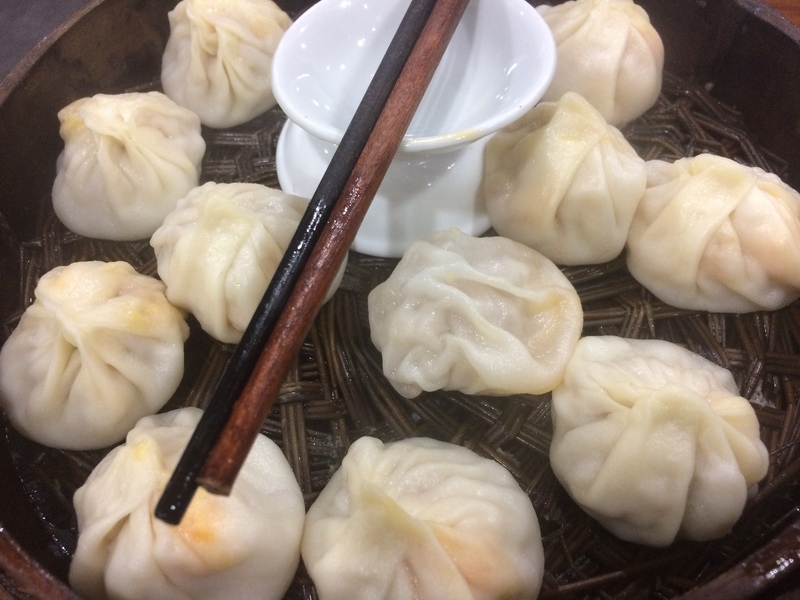 Steamed xiaolongbao or Soup Dumplings: Another Shanghai classic, a really thin skin, with a pork filling and steaming hot soup inside. Just imagine the level of skill needed to perfect these. The trick to eat is it to make a small hole in the dumpling, slurp drink the soup and then eat the dumpling. 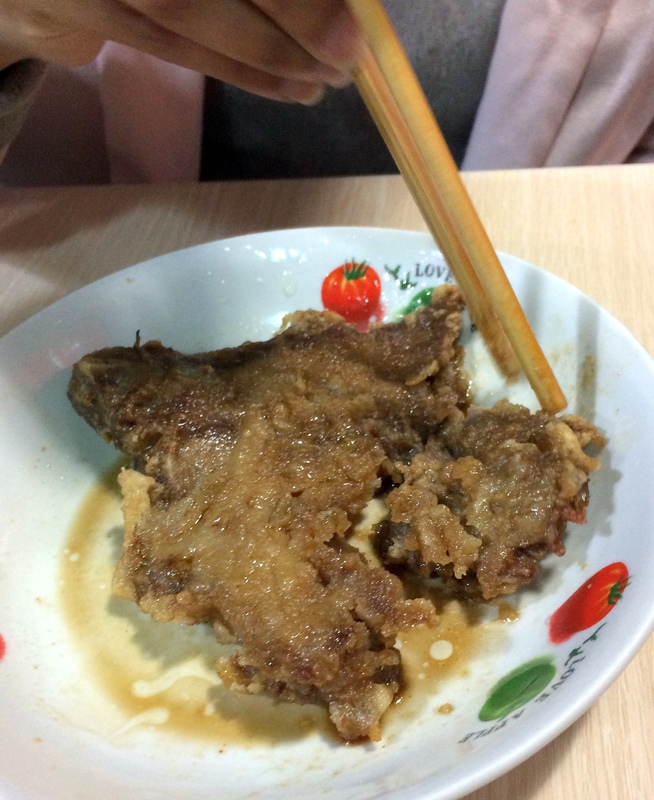 Fried Pork chops: Tried this at a local’s recommendation at Wei Xiang Zhai in Shanghai and OMG! Crusty perfectly crisp pork chop, soft on the inside. The stuff of dreams I tell you. Mussels: If you end up in a Cantonese restaurant, do try this if you are a seafood fan. 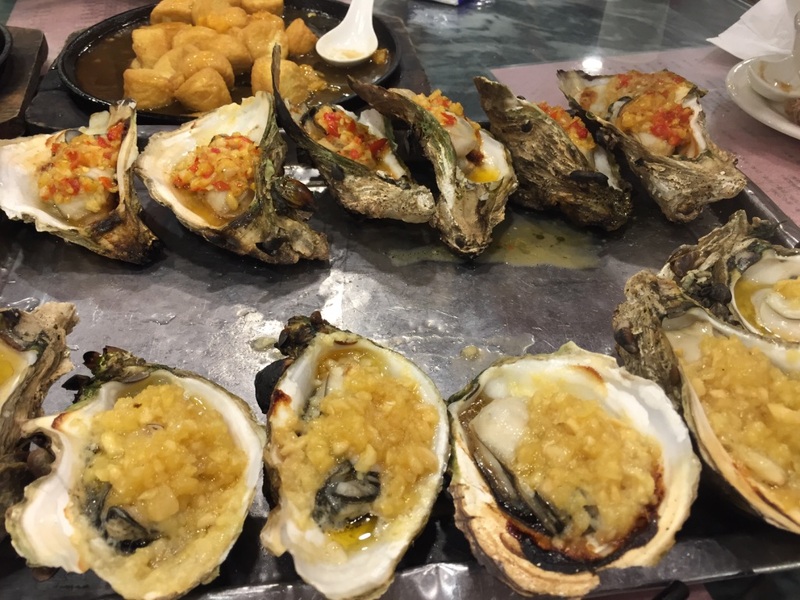 Had them in Guangzhou and they were incredibly fresh, I am sure I could taste the ocean in them. Topped with a whole lot of garlic and chili. YUM! 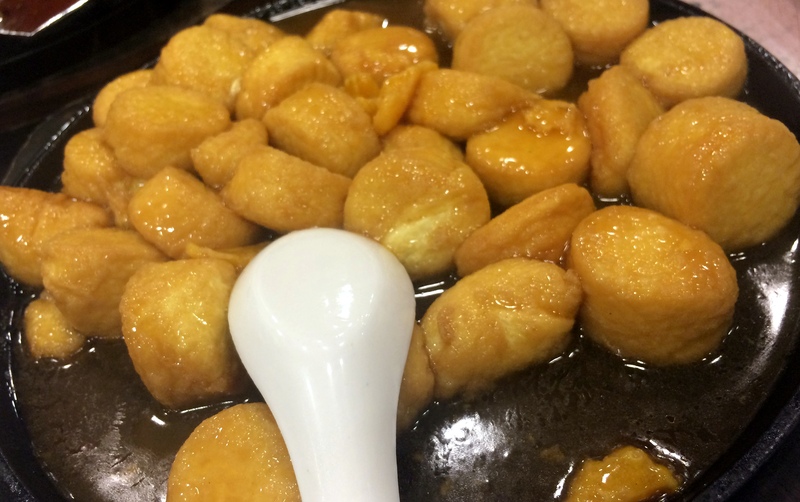 Tofu cream: I really don’t know what this dish is called (sorry) but at a food court in Wenzhou, I saw big pots of soy milk boiling and the chef was removing the top layer that was cream. It was served in its natural form, with just a bit of soy. Tastes a lot of like cream but nuttier. A very unique dish and great to balance any spices you may be eating. 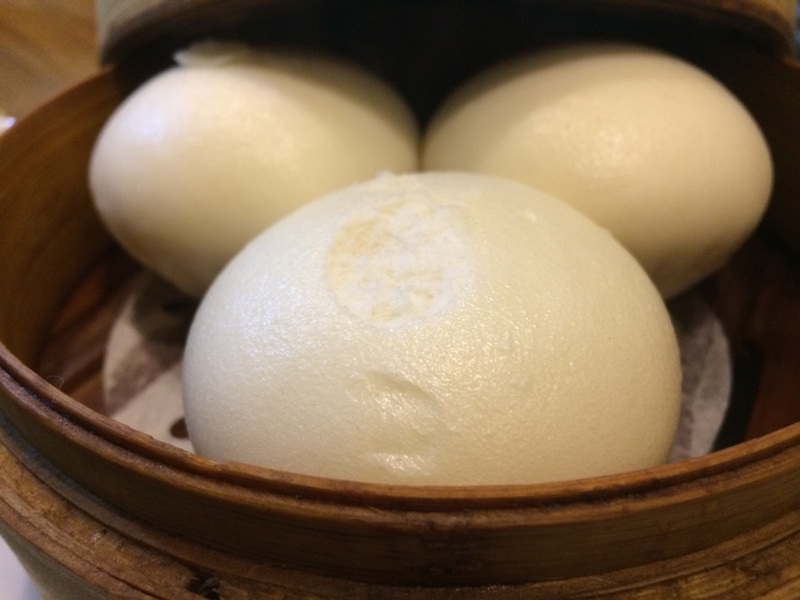 Baozi: This is basically a bao, a steamed bread like bun filled with all sorts of vegetarian or meat fillings. It’s a great snack on the go and perfect for breakfast. 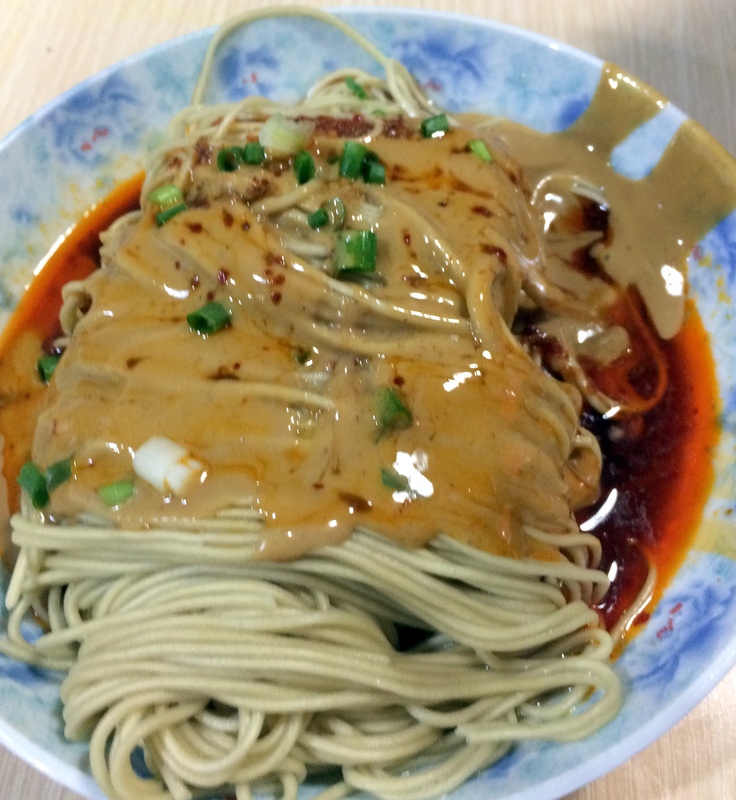 Sesame paste noodles, vinegar and scallions: Another favorite from Wei Xiang Zhai in Shanghai, this is a dish locals swear by. Wheat noodles topped with hot sesame paste and chili oil with a few scallions thrown in, this dish is full of substance and flavor. Zongzi: Very commonly available street food, this is glutinous rice with meats cooked and wrapped in bamboo or any other large flat leaf. It can be stored and frozen for months so is easily available at train stations where they will just steam the Zongzi and serve you on the go. 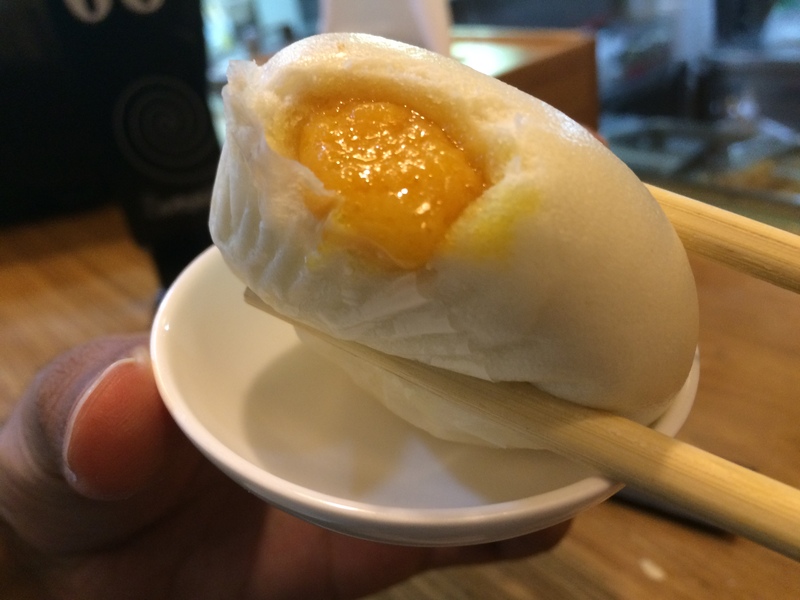 Lai wong bau: Bao dough stuffed with an eggy milk custard and steamed. Sweet and perfect to end your meal with. Have you visited China? If so, did you love the food as much and what were your favourite dishes? Salivating at the sight of these dishes! Haha, the food is really mindblowing in China! Previous PostWhat to Know Before You Go to China!